Materials : Enamel on Copper, Pearls and Vermeil. Size : 4.5 cm / 1.77" Long, Grasshopper : 6 x 3 cm / 2.36" x 1.18". Grasshoppers enamelled in green and orange on a copper plate. 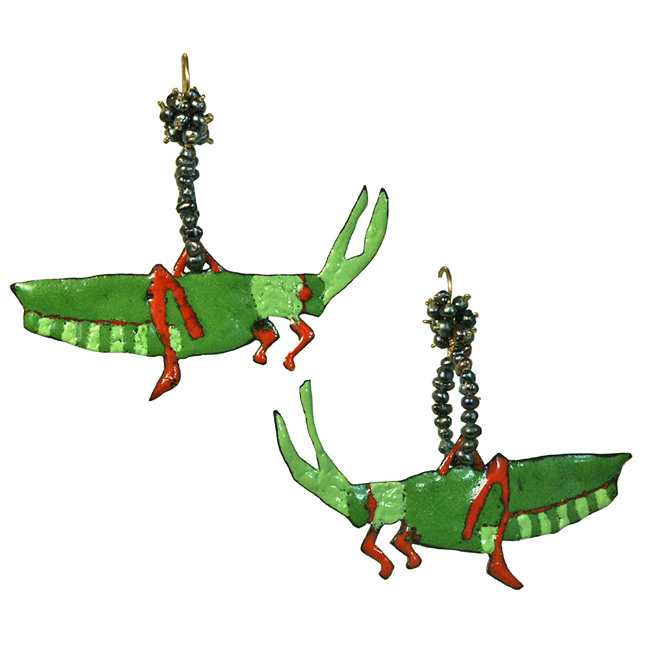 Enameled on both side, these Grasshoppers are suspended from a circle of small black beads river. Hook in vermeil, small rubber stopper inclued. Unique piece.